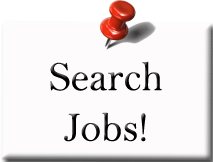 IT Careers Canada Job board allows you to post your job openings. The job board list daily opportunities that are read by a large number of information technology specialists. Why to choose IT Careers Canada? IT Careers Canada Job board is dedicated to information technology and not a mixture of jobs as you can find on more complex job boards. Only the Canadian IT market is targeted. No registration is required. 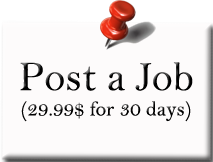 Just fill out the online form and your job will be posted within two business days. Many Information Technology companies promise their employees career mobility and opportunities within, to grow professionally and remain employable. Regardless of how much a company support it's employees professional development, IT employees need to realize it is their career and ultimately their responsibility. That's easy to do your first step. Look thru the IT Careers Canada Job board, spot the opportunities that you feel comfortable to apply for. Then contact directly the person responsible of the listing. No more intermediaries between you and the employer concerned.